Amusements are now controlled by the Families 2nd & 3rd Generation. 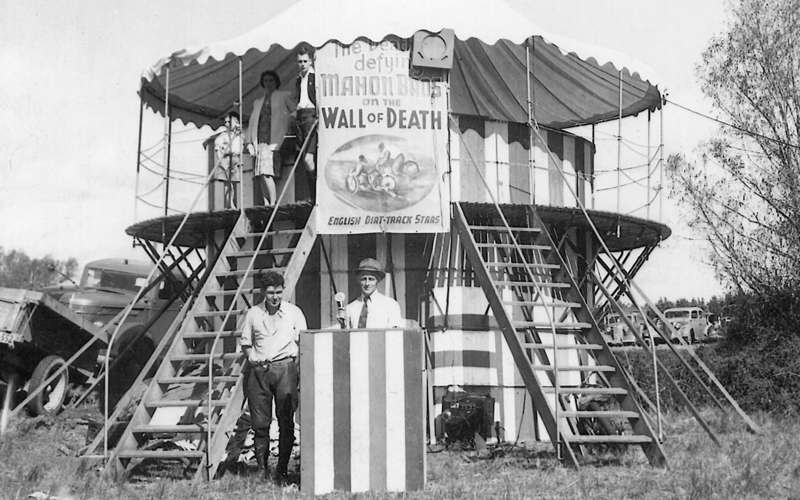 From those early beginnings has grown today’s family-owned amusement company Mahon’s Amusements Ltd. We are proud to be New Zealand’s leading carnival company. Popular and adventure filled rides including the “Turbo Boost”, “Scream Machine”, “Hurricane”, ” Explorer”, “Gravitron”, “Sizzler”, as well as all time family favorites the “Ghost Train”, “Flying Dragons “Ferris Wheel”, “Merry go Round” “Cup & Saucers, and “Dragon Wagon” are featured on Mahons Amusements fairgrounds. Smiling faces, laughter, flashing lights, thrills and chills…..the joy of a family having fun together. The team at Mahons Amusements believe your event should be all of these. We look forward to seeing you at the many A&P Shows, festivals, and community events that Mahon’s Amusements participates in.